Google pushed an update to Chrome Beta this evening, bringing it up to build 39.0.2171.25. The update’s changelog says only that it introduces “bug fixes and performance improvements,” but a new future feature may have presented itself on accident – Reader Mode. 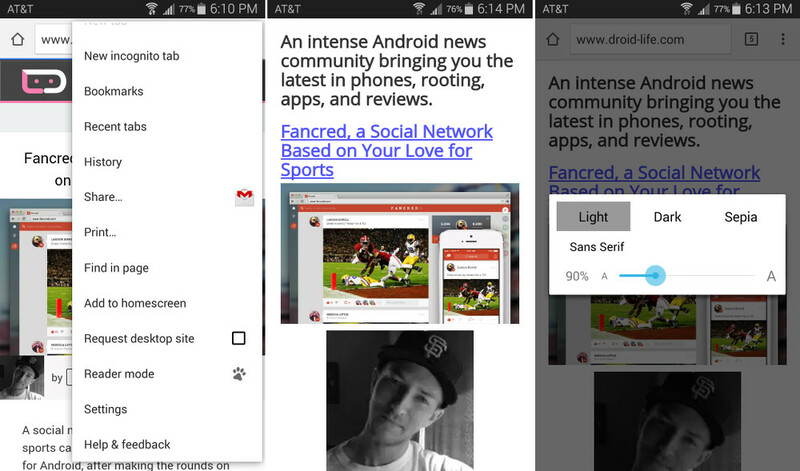 If you open up a site, like Droid Life, and tap the top right menu-pulldown, you may see an option under “Request desktop site” that says “Reader Mode.” As you can see from the screenshot above, the feature has a dog paw next to it, which likely means that Google is dogfooding (testing) it internally and didn’t mean to make it public. I was initially able to see the option, but it has since disappeared. Tim, on the other hand, is still seeing it. I asked two others who saw the update, both of which have not see the option for Reader Mode. 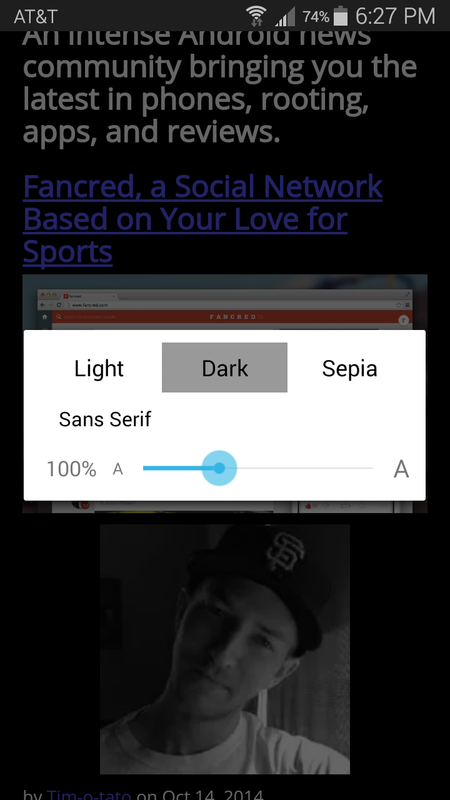 So what is Reader Mode? Well, it is as the name suggests – a mode that makes web pages easier to read, almost like a basic text mode. 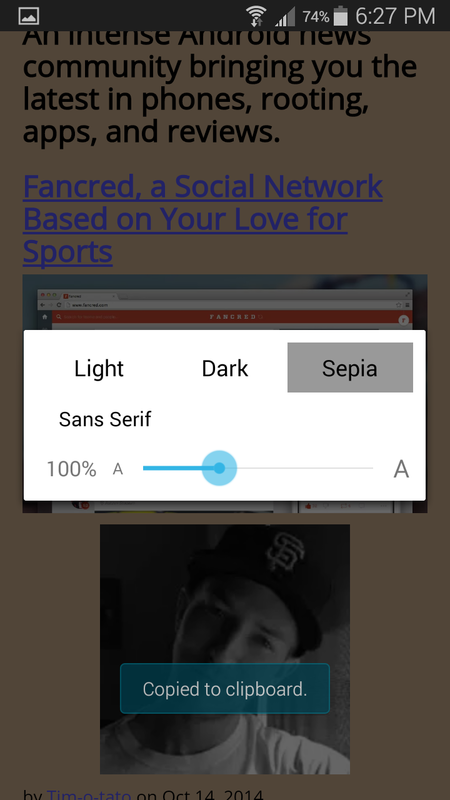 Once you switch to Reader Mode, you can flip between dark, light, or sepia modes, and even adjust font size. It’s tough to tell when this feature might go public, but for now, feel free to update and then check to see if the option is there.